MY HYPERHIDROSIS—an episodic occurrence on my palms, usually during the start of the year—has recurred. My phone and iPad mini slip from my hands repeatedly. Texting on a glass screen can be a massive inconvenience—my sweat interferes with the interface. 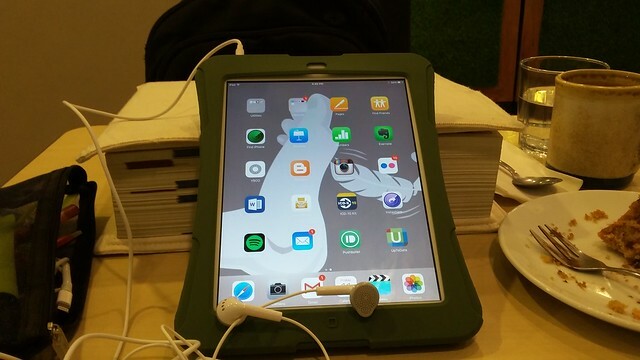 So I got an army green rubber cover iPad mini cover. I like my device now; it looks so fat. I toss it around happily. The cover absorbs much of the shock—I like how it feels on my hands.